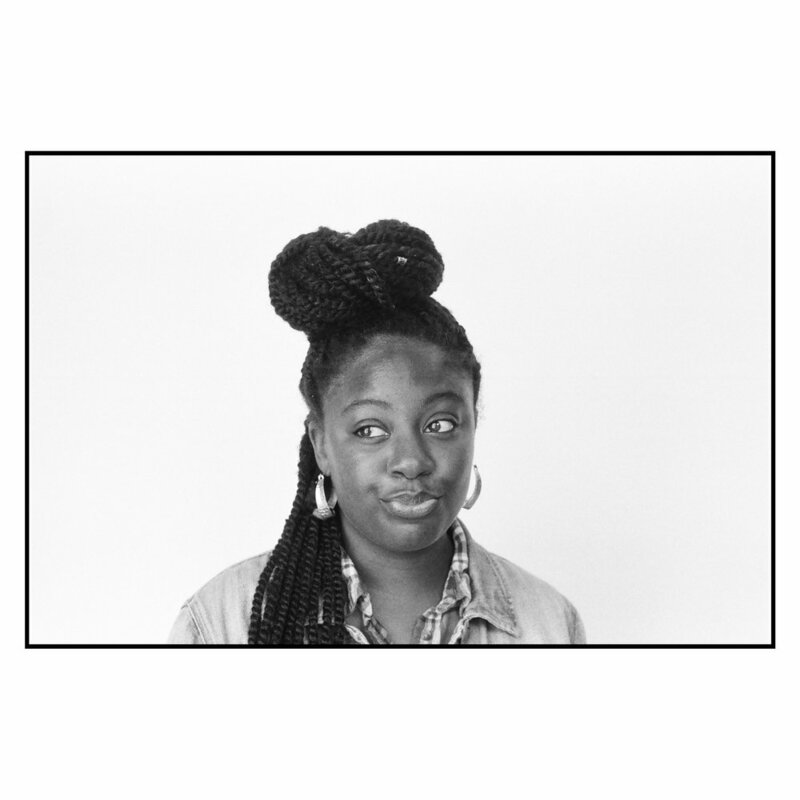 The Blacks in White Identity Portrait series is an ongoing portrait project addressing Black individuals who find themselves living, working, and surviving in predominantly white spaces. Development: How does one's environment contribute to or hinder identity development? What survival tactics are learned and what type of beliefs are solidified or reinforced? Health: What are the long-term effects of isolation, voluntary/involuntary segregation, seeking allies, constantly proving yourself, and seeking inclusion? Changes: How does your sense of self shift, how does vernacular change, how does your hair change, how do your clothes change? Acceptance: What aspects of your self are denied in order to fit in, safely? Does acceptance matter?